Think in terms of outcomes and the specific outcome you desire to achieve. An example would be I want to spend less at the grocery store, not I want to spend less. You have to quantify the results of your goal. Following the example above, I want to spend $20 less at the grocery store each week. This is where most people make a mistake. Your goal has to be realistic; if not, you won't make it and you'll give up. Only you know if it's achievable. The goal has to be stated in terms of a result, such as I want to improve my financial position. If the end result is not described, there is no purpose. Without a purpose, it's hard to achieve anything. You must set a deadline for your goal, such as in our example, I want to spend $20 less at the grocery store each week. Writing down your goals will help you create SMART goals, and since they are committed to paper, research shows they're more likely to be achieved. 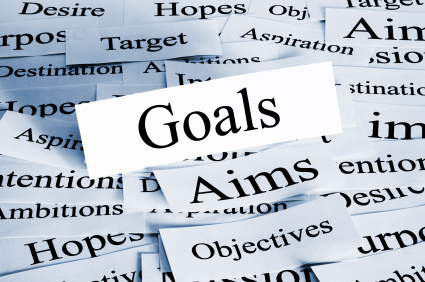 Please let me know what some of your goals are, financial or otherwise, in the comments below.